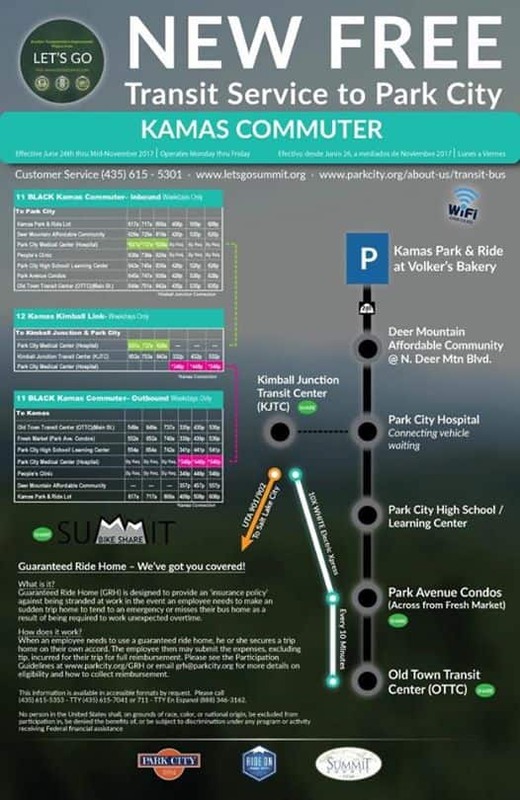 Do you commute to town from Oakley, Kamas, or maybe Deer Mountain, for work or fun? Here's your chance to save some money, some wear and tear on your car, relax during your commute, and save the planet all at the same time. Even if we all just start trying these great new routes a couple times a week it can make a huge difference! The more we show that we're willing to let someone else do the driving for us the more likely we are to see investment in additional routes and options. Please share this great news with any and all that you think can take advantage.